In the old days, routers were found just in office and organizations. But today, oh! Let me turn on the Wi-Fi. Ah! So many networks. You might have a familiar feeling when you turn on your Wi-Fi after going to a new place. This feeling makes us pondering, how popular are Wi-Fi networks, nowadays. But for a Wi-Fi network, having a router and internet connection are the two most basic aspects, which hardly needs to be mentioned. You may go for any Internet service provider, offering the best service in your area, but what about the router. Here, I am going to give a Wi-Fi router purchasing guide, which will surely help you to set your home Wi-Fi, the way you want it. Wi-Fi routers are available from multiple brands nowadays, and most people stick to what the shopkeeper says, at the time of purchasing a router. Though all routers might seem same, they are actually not so. So, how to choose router for home! Some of the wireless routers are well optimized for official use, while others are enhanced for household usage. So, what router should I buy! Let’s find out. The best budget routers, which you can find in the market, come with 4 Ethernet ports, making it easy to connect 4 hard-wired devices. If you are having multiple computers, it can be an advantage for you. But most households have a single computer, and thus, having 4 Ethernet ports always remains a surplus. If you are afraid of data snooping on Wi-Fi and want to use Ethernet ports to connect your laptop to it, 4 ports will still be enough for you. But 4 Ethernet ports make sense if you are having a smart TV, or a TV box, which also has an Ethernet port. 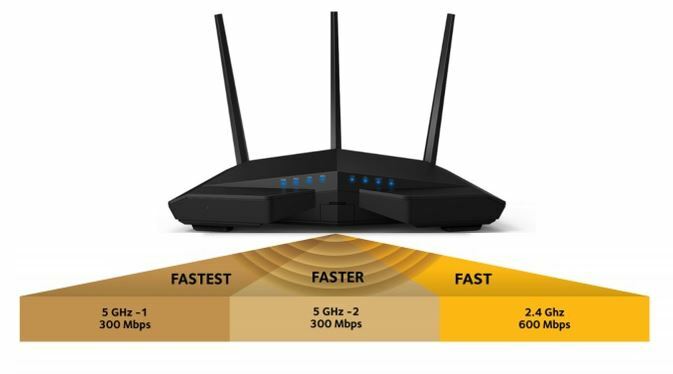 But, if you are getting better router specifications, within your budget, like more antennas, better standards, but with a lesser count of Ethernet ports, and your priority is getting better Wi-Fi signal, don’t think about the Ethernet port count. The Mi 3C router is an example of that. But, if you are living in a joint family, which has multiple computers, TVs, and other Ethernet-based IoT devices, you should go for routers, having a minimum of 8 ports, so that you do not regret purchasing a 4 port Ethernet router, after some days. Most people nowadays connect to a single Wi-Fi connection, which is available within a house. For such cases, you might need to connect a printer, an external flash drive, or an external hard drive to your router, such that other people, who are connected to your home Wi-Fi can access the files, or the resources easily. Depending upon, how many USB devices you connect to your router, you should go for an internet router having an adequate number of USB ports. If you are having a tight budget, there is every possibility, your router will not even come with a single USB port. Though, if you pay some pennies extra, you can get a single USB port, but the router manufacturers usually increase the price of their routers, with the increase in USB port count. Most TP link access point or routers, which you can find, come with 1 USB port, within budget. 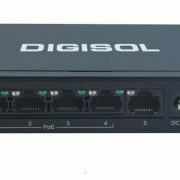 Having multiple USB ports in a router is considered to be a luxury for home networks, and I think that is the reason, why most routers, having 2 or 3 USB ports are highly priced. Now, that’s the most important point, which most people complain about. If you are looking for the best router for 4k streaming or the best router for an apartment, the Wi-Fi range is an important aspect and let’s find out, which Wi-Fi router will give you the best range. If you are having a single storied building, Wi-Fi range is not going to be a big deal for you. But, if you are having multiple walls within a single storied building, the Wi-Fi range will drastically reduce, due to the obstruction, the signal will face while passing through the walls. Keeping that in mind, you should always try to keep your Wi-Fi router in the central location of your house, so that the obstacles do not spoil your experience of using the Wi-Fi network. 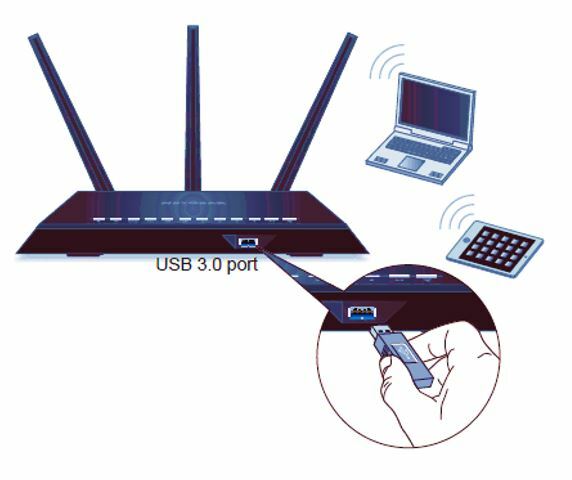 The number of antennas present in a Wi-Fi router determines the Wi-Fi range and the signal quality in most of the cases. 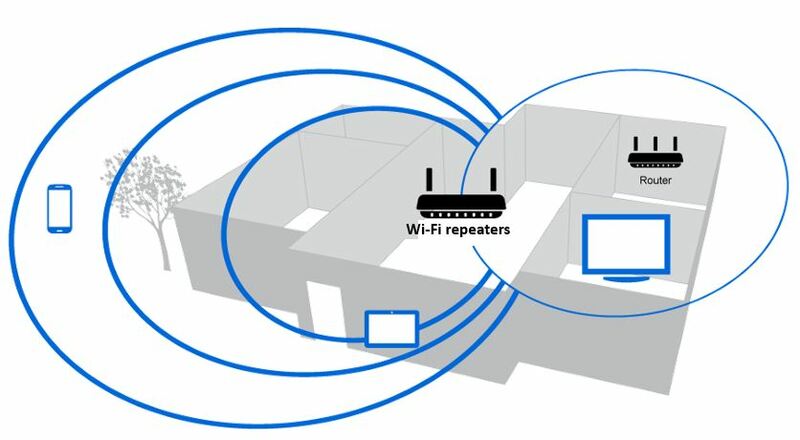 Let’s find out, how many antennas, you will need in your Wi-Fi router. 1 antenna Wi-Fi router is great if you are having a single storied building, and you do not have more than 2 or 3 rooms. Keeping a single antenna Wi-Fi router at the central look at of the house can surely help all the users present in different rooms to access it, without facing any kind of hardships. You can go for any best budget router within a single antenna, in your house, and it will not spoil your experience. If you are having more than 3 rooms, with a decent number of walls, or 2 or 3 very big rooms, I will recommend you to go for a 2 antenna router. Even if you are having 2 floors in your building, and want to access your Wi-Fi network from all the corners, going for a 2 antenna router will surely be worth your pennies. Most households do not require Wi-Fi router is having more than 2 antennas, as that is not necessary most of the cases. It is what I think. Having more than two antennas in a small sized house is nothing but a show-off. But if you are really rich, and is having 3 or 4 floors in your building, going for a Wi-Fi router with 3 or 4 antennas is not going to be a bad investment from your side. Other than that, purchasing Wi-Fi Routers with 3 or 4 antennas is going to be a complete waste of money for you. Though in case of numerous floors in your building, I will recommend you to go for a Wi-Fi repeater for each and every floor, as that will improve signals in a better way, than that of Wi-Fi Routers with 3 or 4 antennas. Go for maximum antenna count, within your budget, if getting better Wi-Fi signal is your priority. In the older days, all the Wi-Fi networks used to operate in the 2.4 GHz band. 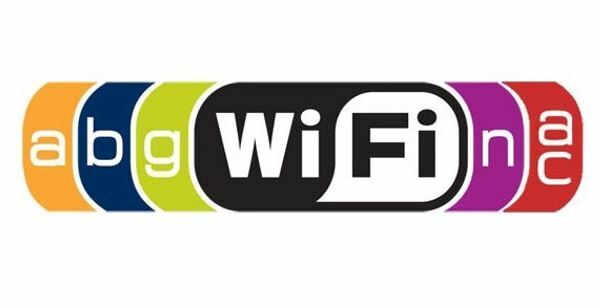 But due to the overcrowding of the 2.4 GHz band, most Wi-Fi router manufacturers comes with support for 5 GHz bands. If you are living in an area, where there are multiple Wi-Fi networks, especially in city areas, I will recommend you to go for a dual-band Wi-Fi router, which comes with both 2.4 GHz and 5 GHz bands. You can use the 5 GHz band if you are facing a lot of interferences with the existing 2.4 GHz bands. There is a common misconception among people that, having a 5 GHz band will increase the Wi-Fi range. That is completely wrong, and the opposite happens in most of the cases. In, communication engineering, the range of a signal gets diminished, with higher frequencies, provided the power is kept constant. I will not explain the reason for that, over here, but that is true. Thus, if you are facing a lot of interferences, but do not need a very big Wi-Fi range, you can always go for 5 GHz bands, and that will surely make your experience of using Wi-Fi a lot better. If you are living in a flat, with 3 or 4 rooms, or is living in a house with 2 floors, a 5 GHz Wi-Fi router with 2 antennas will surely help you get a great surfing experience. But, as Wi-Fi routers come with dual bands, I will recommend you to go for 5 GHz bands, only if you need that. Keep it as a standby, to use it, when your area gets crowded with 2.4 GHz signals. I will not talk a lot about it, as most of the Wi-Fi Routers, which are available nowadays come with support for b, g, n, and ac bands. Any of the best wireless routers will support 802.11 n or ac bands, and thus, you do not have many choices in hand. If you are having a device, which is more than 3 or 4 years old, it is surely compatible with 802.11 n standards but, not with devices before that. A new standard, which is 802.11 ac is quite popular nowadays, and if you’re going for a new router, it will surely come with 802.11 ac band. If you are having a decent budget nowadays, you will surely get an 802.11 ac band router, and I will not ask you to break the deal and go for one with lower standards. Most new devices, which are available nowadays come with support for 802.11 ac standards. For the sake of convenience, I must mention that Wi-Fi routers with 802.11 n come with support for maximum speed up to 300 Mbps, while 802.11 ac comes with support for 1300 Mbps, and that too with better connectivity. If you are getting 802.11 ac within your budget, which you will probably get, go for it. Most users do not pay a lot of importance to Quality of Service or QoS, at the time of purchasing a router, as they are always in a hurry. But they feel the need of QoS after some days. Let me explain why! 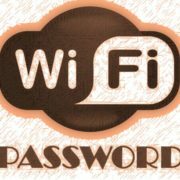 How many times, a friend or your neighbor visited your house, and asked for your Wi-Fi password! Hardly anybody can deny the request, and in most cases, they get the Wi-Fi password and visit your house regularly just to use Wi-Fi network. You can’t stop them, and changing the password to stop them from using your Wi-Fi, doesn’t help as well. You know, why it is so! Keeping that in mind, QoS comes with numerous options to limit the speed is for certain users, stop certain users from visiting particular websites, and it also comes with a number of other features. With the help of QoS, you can also limit the speed of streaming services or unnecessary services, which might be squashing upon your bandwidth, giving you a limited bandwidth to access the internet or make the experience really bad. You should also check, whether your Wi-Fi router comes with parental controls, and the option to block certain URLs, if there are young netizens in your family, always hooked on the Wi-Fi network. 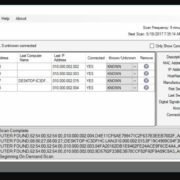 There are numerous configurable QoS options, and only a few can be configured in most of the Routers, which are available for household purposes. Just go for a Wi-Fi router, which comes with QoS settings to alter the network speed for certain users, blocking certain users from accessing your Wi-Fi network and limiting speeds for certain unnecessary services. But the flip side is, it might be difficult to make out, whether the router you are going to purchase has support for QoS. It is better to read to reviews of the wireless internet router before you make your purchase. If you are looking for some great Wi-Fi routers with QoS, you can go for TP Link, Mi routers. Most routers even come with a guest access point, where a number of settings can be changed so that your guests or friends cannot misuse your Wi-Fi network. If you are using a Wi-Fi router with great QoS options, please make me and other reader know, in the comment section down below. Nowadays, you can also find some great smart Routers, which are popular among many power users out there. Most of the users do not need such kind of smart Routers. If you do not know smart Routers, let me tell you the basics about them. Smart Routers come with numerous functionalities, which is normal Routers do not come with. Most smart Routers come with pre-installed torrent clients, download managers so that you do not need to turn on your computer or keep it running through the night, to download your favorite movie or game. If you are even looking for the best router for gaming, most smart routers come with minimum latency, which can come in handy for professional or enthusiastic gamers out there. Smart routers also give you a lot of options to customize, which in most cases are not necessary for home routers. Thus, if you’re not in acute need of smart Routers, save your money and do something else with that, and go for a simple router, with the most basic functionalities, so that you can stream your favorite movies, surf your favorite websites, and play your favorite multiplayer games, without any issues. Most Wi-Fi routers nowadays come with WPA and WEP security, and thus, it is of no use to search for those things in your new router. Always configure your Wi-Fi router with WPA security for best results. 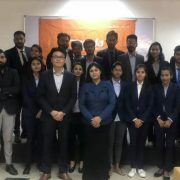 Moreover, if you are having an ADSL connection, which is provided by most landline providers in India like BSNL, MTNL, etc., you will need to purchase a modem separately or get it from your ISP. Though most routers might come with inbuilt modems, to fulfill the requirement of ADSL users but opting for budget routers with modems do not come with a lot of options to configure, and thus, I will not recommend them, unless you are having a tight budget. Hope this small Wi-Fi Router purchasing guide helped you if you are planning to purchase a new router, for your existing or new internet connection. More queries in your mind! Comment it down below.